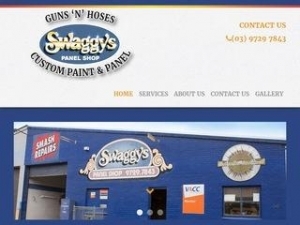 Established in 1971, Swaggy’s Panel Shop specialises in providing quality smash repairs and spray painting services at the most competitive pricing. From a minor crash to the major collision, our highly trained panel beaters can repair all the damages for all the makes and models. We have more than 80 years of combined experience and have built a reputation for trust and quality amongst our clients. Our expert team pride themselves on extensive industry knowledge and attention-to-detail. We strive to deliver all our clients with the professional workmanship, unrivalled customer service and competitive pricing. Areas We Serve: Including but not limited to Bayswater, Croydon, Ferntree Gully, Kilsyth, Lilydale, Ringwood and Wantirna. To find out more about our services or to make an appointment, fill our inquiry form or give us a call at our registered number.